Because it’s the end of the week here in Australia, and because it’s a long weekend and I don’t know what we will be up to (so blogging might be light), but mostly because I did promise you more stories this week from our wilderness years when we lived in a hole in the ground – no house, no electricity on line, no water on tap (except what we plumbed in ourselves) and no sewage – here are some more pictures for your perusal and entertainment (sorry, no snake picture, click “Let’s get the snake pictures out of the way, shall we?” for those). There are two types of fire, there’s the controlled burn and there’s the wildfire, and you use the former to (hopefully) negate the latter. As you can see, it’s called spear grass for a reason. 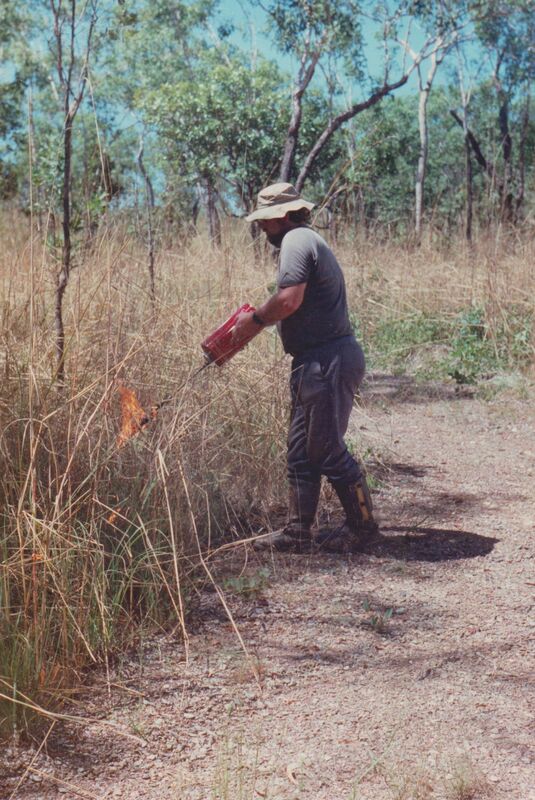 When it dies off, it bulks down into dry grasses that are thick and uncompromising (ignore the pyromaniac in the picture for now). 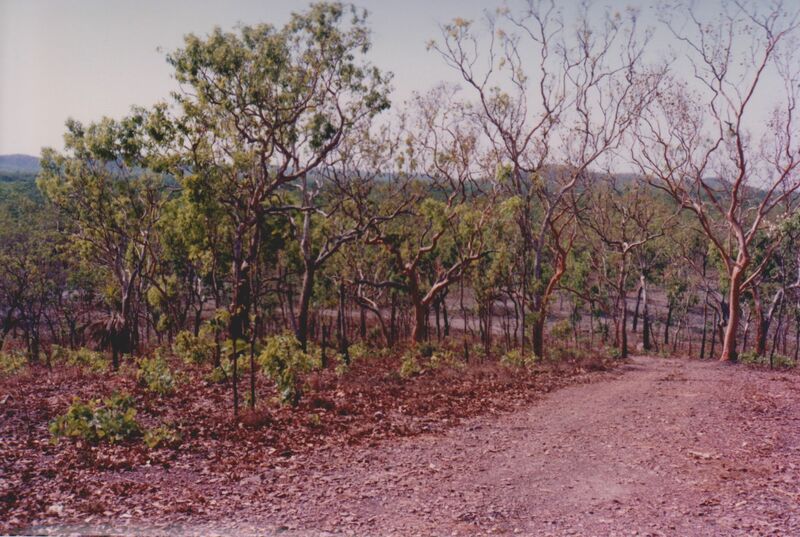 When this matting is spread across acres and acres, it’s fuel just waiting for a bushfire and at the peak of the season, a fire can be hugely destructive. 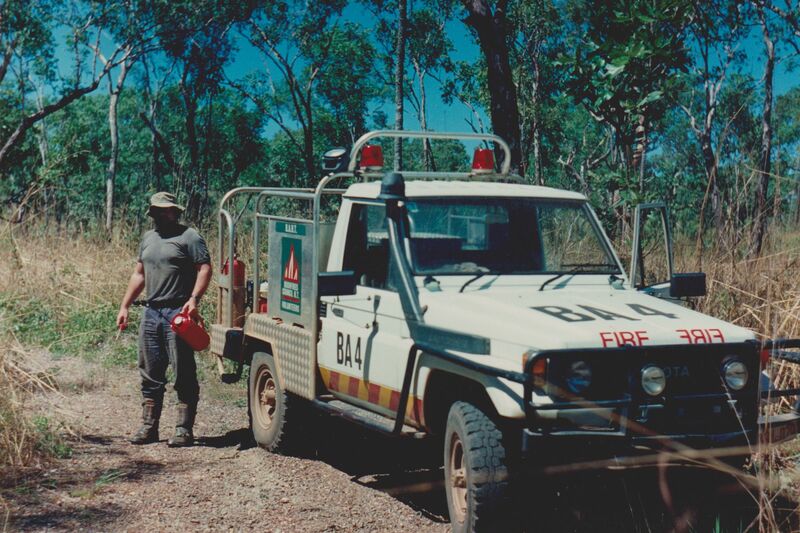 By law back then (in the 1990s) we were required to put in firebreaks around our 250 acres of wilderness. The authorities would look at aerial photos to be sure it was done and you could be fined heavily if it was not performed every year. 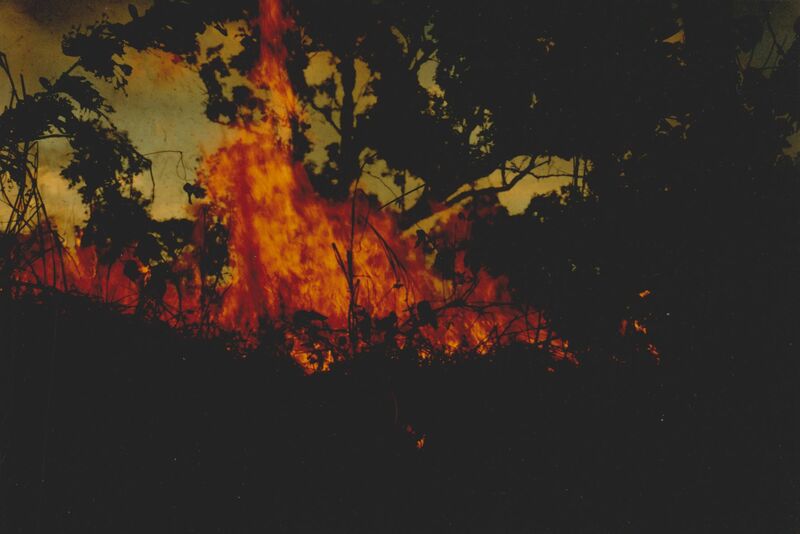 Interestingly, the law is in complete reverse at the moment, with it being now illegal to clear land around your home in some areas in Australia, although I expect that to change again now that the alarmist government has been replaced with someone with a brain, and since many houses were lost in recent wildfires due to uncleared areas – the very problem the original laws were intending to prevent. Frankly, I believe both sets of laws are wrong. We didn’t like “having to” any more than we like “not being allowed to”. It would be far better to hand responsibility back to the people living in that fire-risk situation to do what they need to, or want to. They should be allowed to protect their own house, or not, but that right should include not complaining about the consequences. Us? 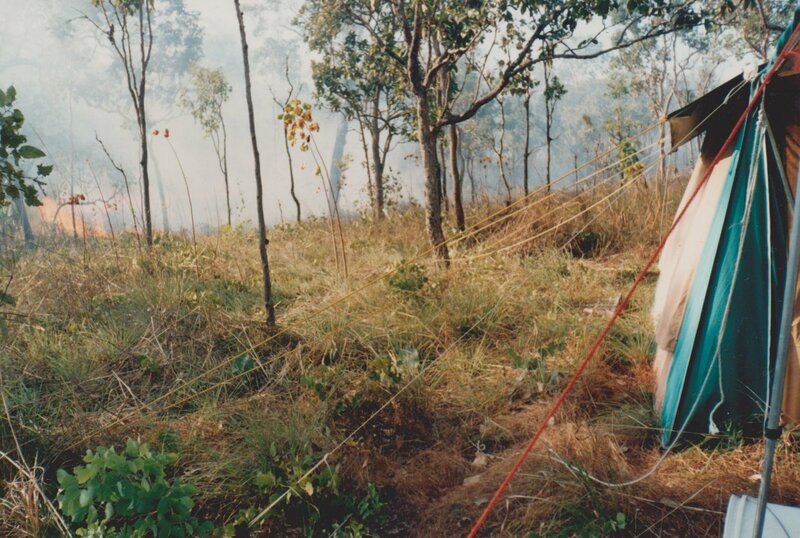 We would have kept and area around out campsite clear and left the rest alone, leaving natural fires do what they will when and how. Back then, though, we had to do the boundary line. 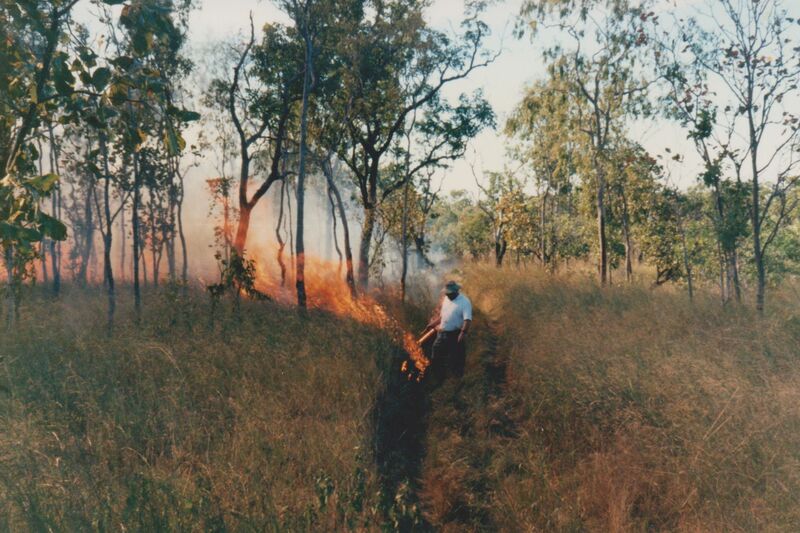 Back then, as so many people “had to” burn, it was a sure thing that you’d get fire through if you did not put in a firebreak! 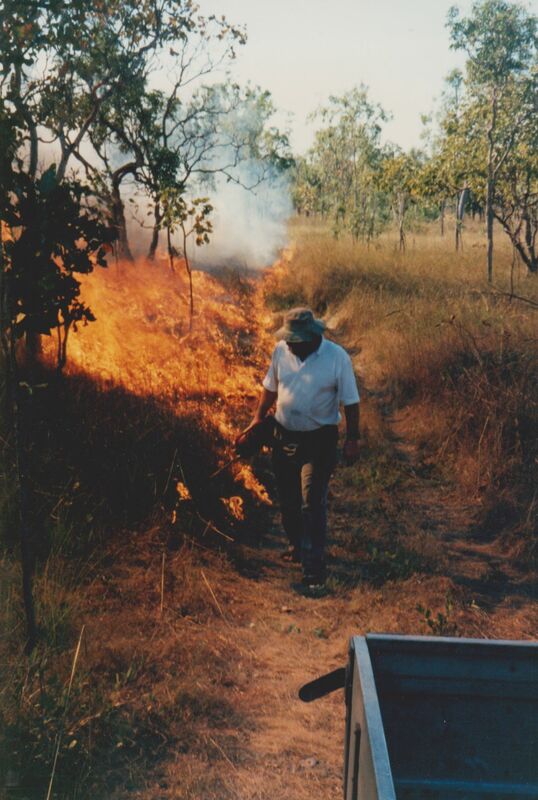 The first wildfire went through in our first year. Being total newbies on the land at that point, our first concern was for ourselves and then for the wildlife. Well, put your minds at rest, we made it and the wildlife had an amazing assortment of techniques to keeping themselves safe or out of the way. Then again, it wasn’t at the peak problem time – someone else’s burn-off had gotten out of control. There seemed nothing left! When you can see the shape of the hills right down to the ground, and most things are black and smoldering for miles and miles, you wonder at the devastation and how long it will take for the land to recover. And what about the wildlife? The land seemed so bare. Lower down, it looked like every tree was dead, many hollowed out trunks still smoking. There was nothing living to be seen. We didn’t know, we had nothing to compare this to, so, as newbies, we were pretty (and dumbly) distressed. City-living will do that to you. 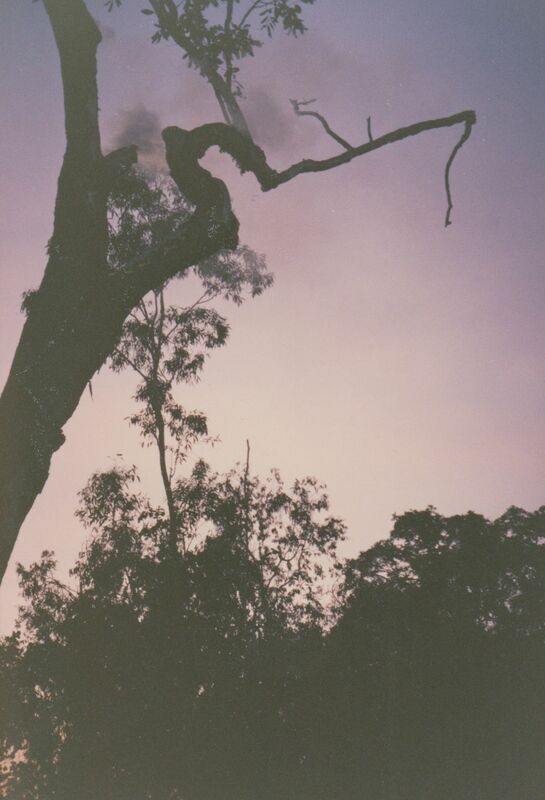 A hollow tree still on fire on the inside, smoke emitting from chimney-like branches. During the course of that first morning, I became aware of spiders. Not the spiders themselves, but trails of webs thrown out into the wind to act as a parachutes, to carry them long distances. Coming in or going out? It didn’t matter. Spiders were there and had survived perfectly well. Every tree seemed to have these gossamer threads. If spiders survived, I realized, other insects had, too. The spiders didn’t migrate away. They stayed. They built their webs and got on with life. Nothing much else was notable that first day, but the night was something. Those smoking trunks had continued to burn inside during the day, and overnight many of them came down. You could hear them, some very close, a crack, then movement – you knew it was falling – then the crash of wood along the ground. It was sad, too, because I kept thinking, what about the wildlife? Day two had another surprise for me as the morning brought all sorts of creatures out. Lizards and birds, mostly. I was thrilled to see them. Birds, of course, would have taken to the air, but how had the lizards survived? My guess is in holes in the ground, or in crevasses in logs and trees. There were plenty of them. Day three, though, really surprised me. Day three saw the first sprouts of green. I could not believe my eyes. Green was coming everywhere. Tiny, to be sure, but blanketing the ground everywhere. Nature had sprung back, and fast. 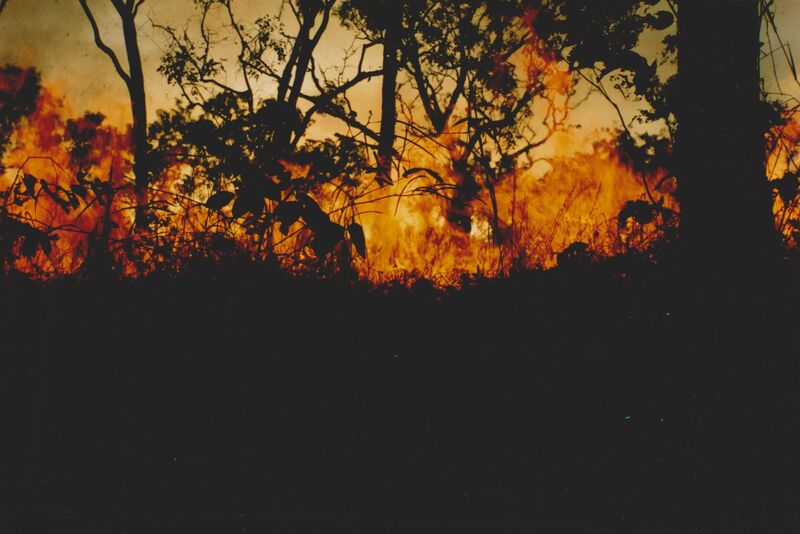 It was on that day, too, that I saw the kangaroos back, fit and healthy, young and old alike, bouncing around the hillocks as though there had never been a fire. I cannot find the pictures I want, but one large kangaroo near our camp made us laugh. He hid behind a tree from us, and peered around it to look at us occasionally, then hide his face again. What was funny was that his entire backend was sticking out the other side, plainly visible, he just didn’t know it. Lovely creatures. By the end of the week, the new growth was developing well, and I learned something important. Nature is amazing. Nature is prolific. Nature is stronger and faster than you can suppose (especially if you are living in a city and don’t have direct experience with the wild). A lot of alarmism is still out there, not just in the news but in nature programs, too. Remember they are trying to tell you a story, and that story is more “exciting” if it is dramatic or traumatic. Take it with a pinch of salt (frankly, I can’t watch them, I get angry at the fear-mongering). If you are driving in the countryside and you go through a place where recently has been a fire, don’t feel sad or angry at it. Marvel at it. 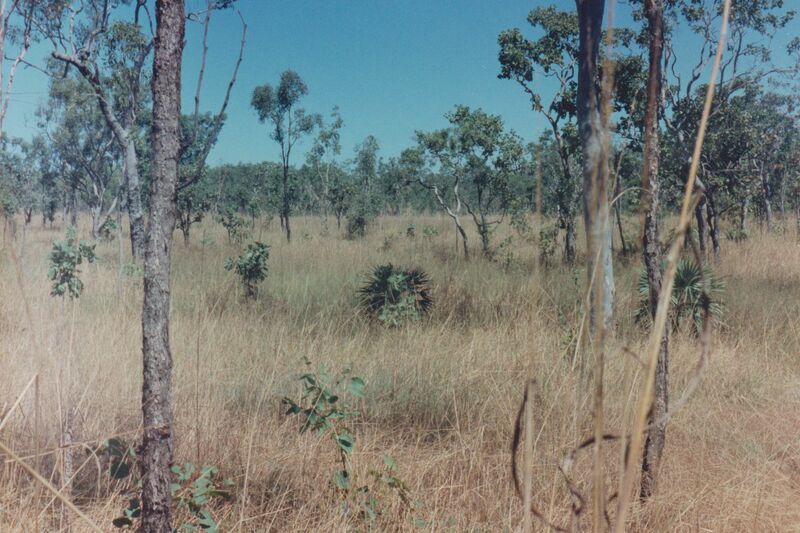 The forest or bushland is not dead. The ground is not dead. There is energy there below the surface that will push forward life that will seem miraculous, just in speed alone. If you can, go back in a few days or a week, and take another look. You’ll be amazed at how well nature can look after itself. 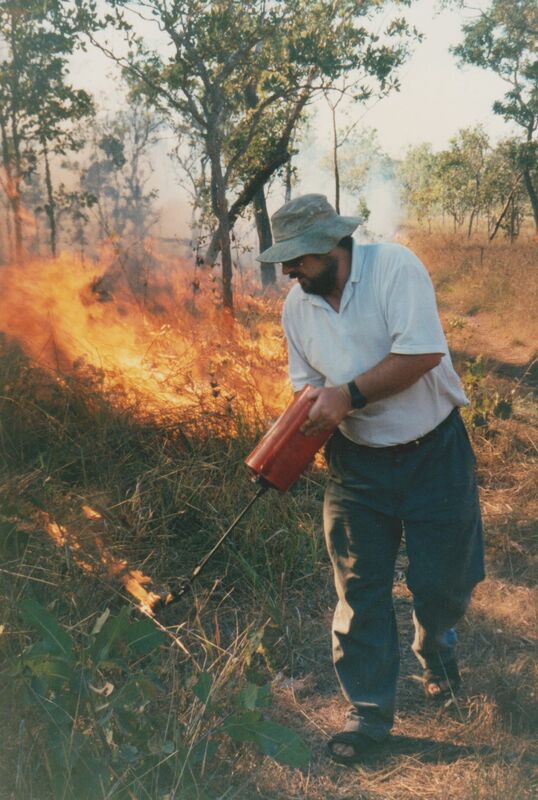 After that first wildfire, we took to making yearly controlled burns. Some of these pictures look as though the fires got out of hand. Many were just wide, although sometimes the wind grabbed them and ran. I will point out the green in the grasses still, which meant the fire burned cool and low. The trees you see here did not catch alight, nor did their branches. What we got rid of was the grass, as shown in the picture (further below), taken the next morning. We initially wanted to put in a firebreak using the backhoe, but when we realized just how big the firebreak had to be, that became unpractical. A fire can leap a wide road very easily, so any break had to be wider than that. We had seven kilometres of boundary line (nearly 4.5 miles). We simply couldn’t do it without hiring massive pieces of equipment, which we plain could not afford. The easier way to do it was to back burn, burning off controlled sections wide enough so that any wildfire would burn itself out on reaching the nothing-left-to-burn zone. Literally fighting fire with fire. You did these burns at the right time of year and as the evening came down (in the mornings, they might flare up and get away from you), and generally they put themselves out through the night, but in the morning, you’d do the rounds and make sure any smoking log was safely doused and all fire was out. 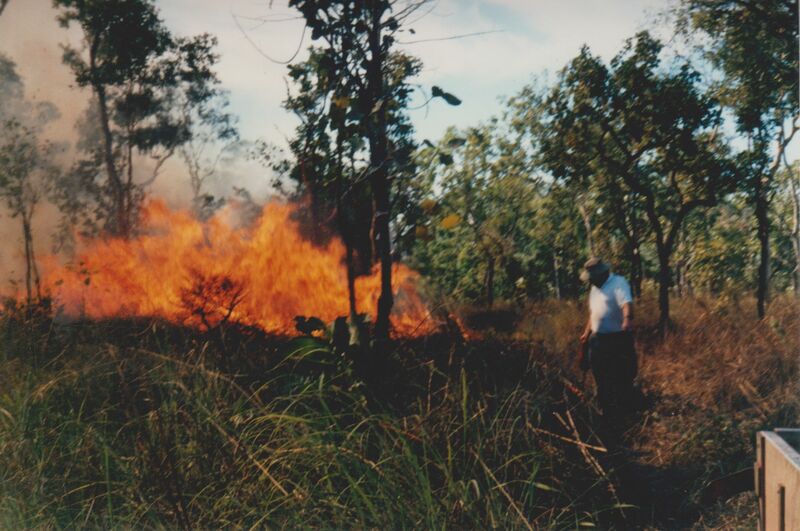 Oh, and yes, we were both members of the local voluntary fire-fighters and we always took out a permit before we did a burn. That’s it for today. Have a great weekend, everyone. Wow.. That’s amazing. We never see it like that on the news. Just little clips.. It’s also amazing that the animals seem to have a built in survival instinct. Thanks for sharing this with us..Enjoy your weekend..
Goodness me! Did you say ‘fight fire with fire’? Man, I’ve never heard that before. I was starting to wonder how that would be possible until I read the part where you said that one had to do some sort of controlled burning on the left-to-burn area. Hmm, that’s smart. The spear grass sure looks tall. We have a slightly similar type of grass here, though the blades are fat! 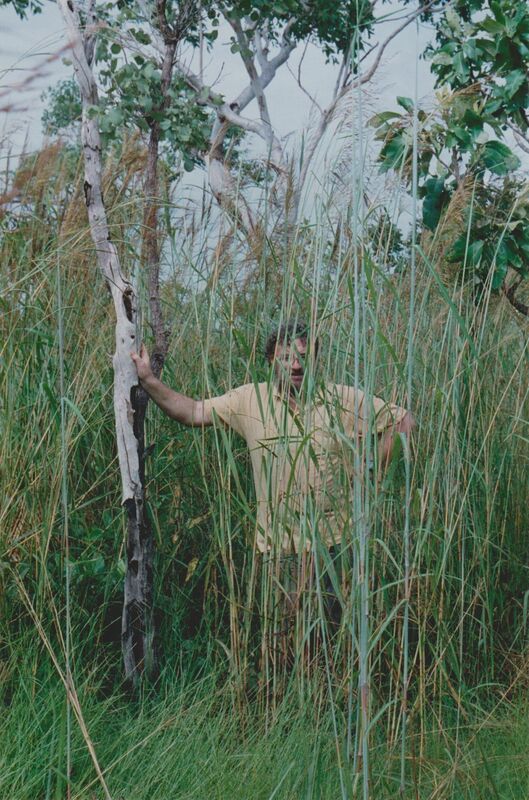 The grass, commonly know as Elephant grass, is rugged type and can withstand harmattan. The spear grass in the pic sure looks like the assegai of a Zulu warrior. Off to your previous post.. Yes, fighting fire with fire. 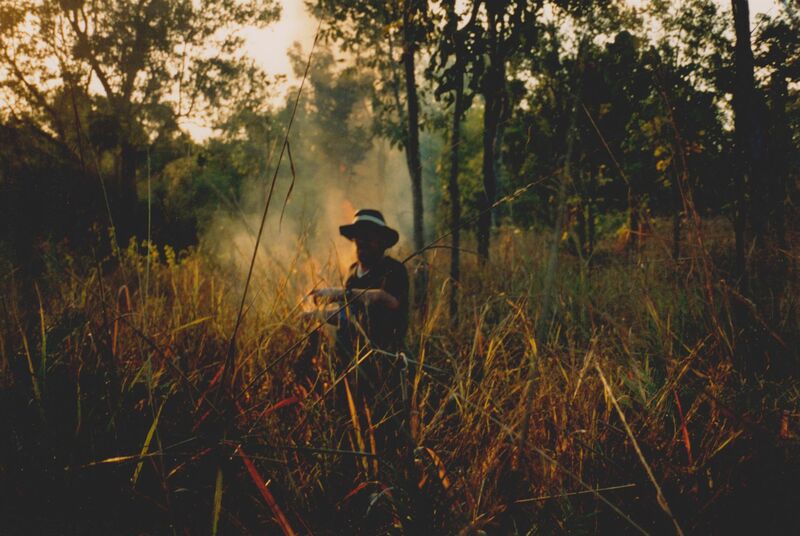 It is also one of the survival tricks if you are caught in bushland with a fire approaching. If you light a fire, it will spread outward while still small and give you a burnt patch to position yourself in – if it’s a big fire coming, then make a big patch! 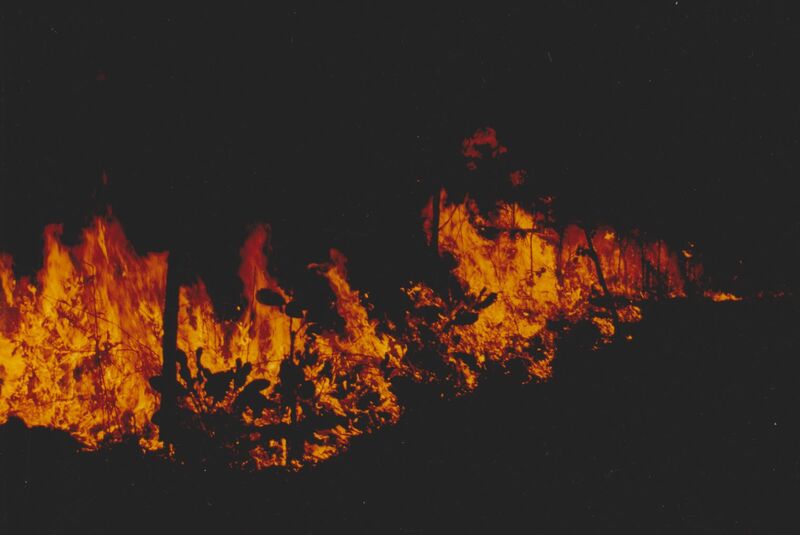 A wildfire can still be dangerous, of course, and still rob that area of oxygen or make it unbearably hot, but doing a burn gives a person a chance to stand their ground. Trying to outrun a fire is no option (you won’t make it). 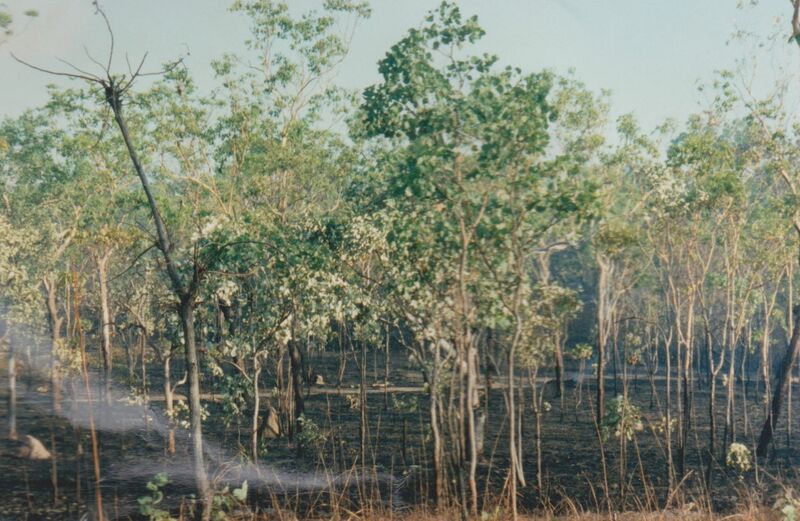 I often hear about wildfire rampaging some parts of Australia. It seems like a yearly occurrence, right? 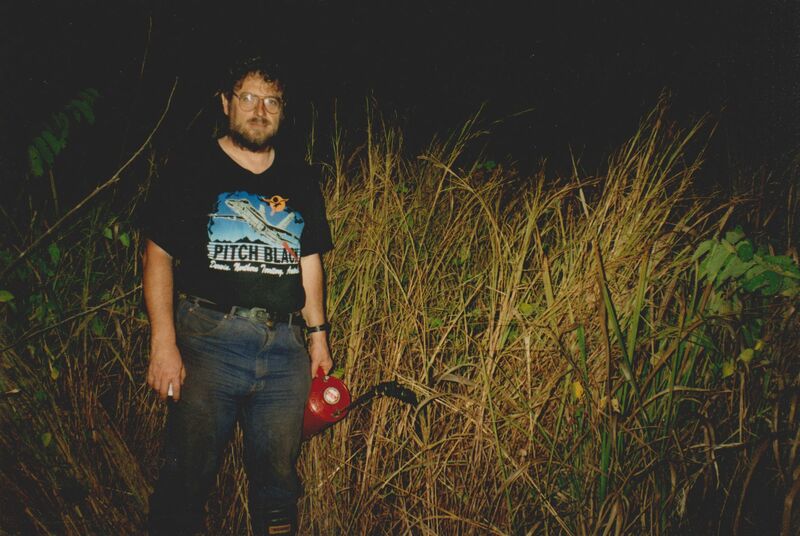 Frankly, I have learnt something new about combating wildfire in the bush land. If someone told me before now that this was possible, I would’ve considered it as a big joke, choosing instead the option of trying to outrun the fire–which I now see is a risky business. Glad you love my description of the Spear grass. Man, it sure looks like a bunch of spears! No problem, Uzoma, I only caught up with comments this morning. 🙂 Having a lazy long weekend slowed me down (that’s my excuse, anyway). Yes, burn-offs happen yearly. The idea is to put a fire through at a cooler time of year when they are more manageable. It also keeps the dry grasses, which act as fuel, to a minimum. If this is not done, the wildfires that can occur at the height of Summer can be huge and do a lot more damage. Sometime the news exaggerates. We had fires last year – five in this area alone (looking at the map, we were pretty much in the centre, but didn’t see any of them), yet the news carried it like it was a huge threat. It wasn’t. The fires were all contained and taken care of, yet people in the cities got a whole load of hype. I think they forget sometimes that they are supposed to keep people informed, not alarmed.